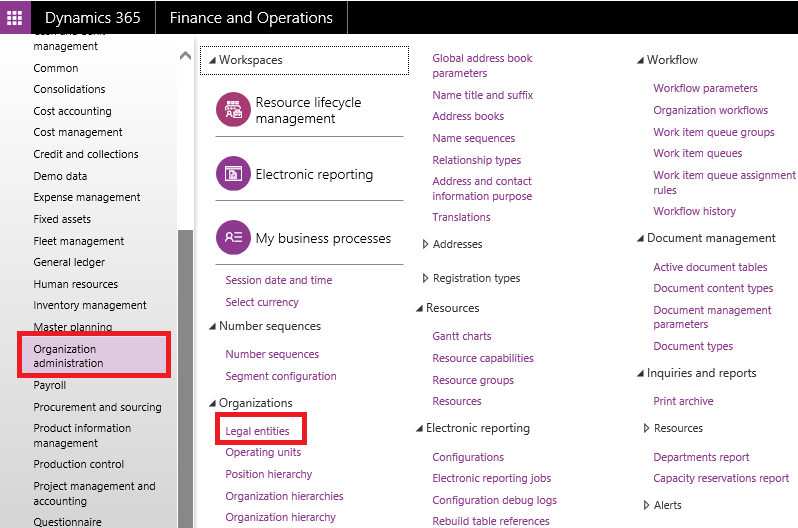 Under Dynamics 365 Finance and Operations menu, navigate to Organization administration. Under Organization drop down tab, select Legal entities. A legal entities window opens with information about the legal details of the company will be listed. Click “Edit” Button and select the legal entity(customer) on the left, to update their banner or logo. 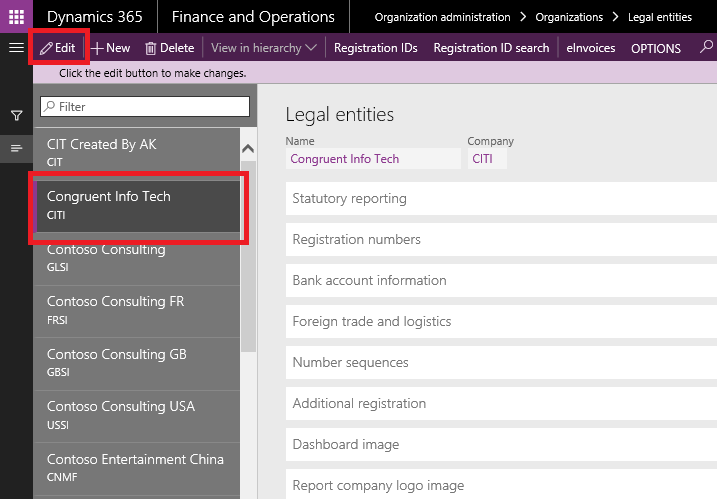 Expand the “Dashboard image” tab under the legal entities column. If it is already expanded, change the Dashboard company image type as Banner from Default. Click “Change” and select the banner that needs to be updated. Click “Save” to store your changes and navigate to common tab and select the default dashboard to view your new dashboard banner and logo.